The scene: It’s 1937, and the U.S. is struggling to dig out of the Great Depression. With the recent end of Prohibition, bartenders are once again allowed to showcase their creativity to the previously deprived masses. In Southern California, Don Beach, now regarded as the father of Tiki, expands his restaurant and renames it Don the Beachcomber. A steady stream of new Tiki recipes appear on Don’s menu, intriguing and mystifying a growing crowd of patrons. 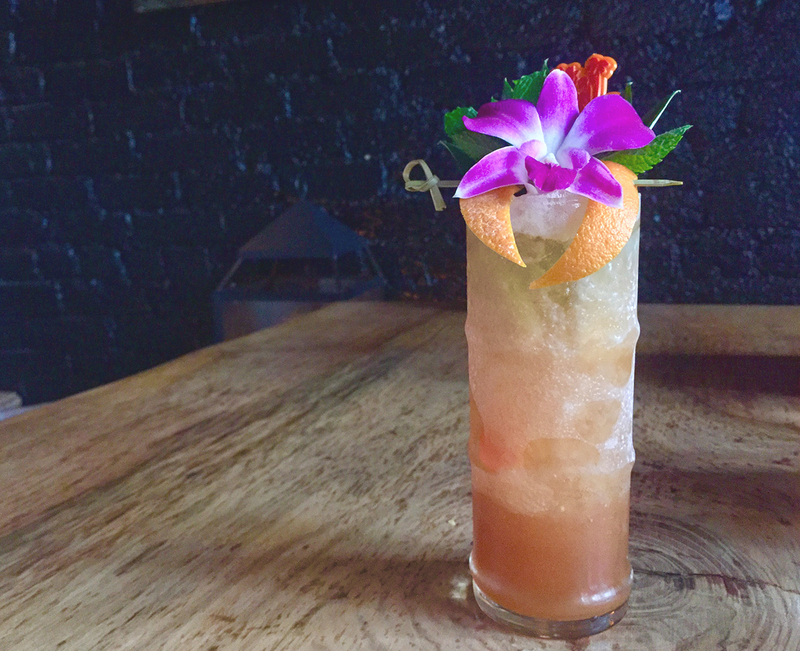 Among his first wave of (now) classics was the Cobra’s Fang, a straightforward blend of canonical Tiki staples – sweet and sour citrus juices, fruit syrups, and exotic rums. Shake all ingredients. Serve over crushed ice in appropriate Tiki vessel. Garnish with cinnamon stick. When a Tiki enthusiast sees overproof Demerara rum in a recipe, they immediately think of Lemon Hart 151. This smoky warhorse of a Guyanese rum is inextricably tied to Tiki, nearly as irreplaceable as fresh lime juice. This is most definitely a drink that you don’t want to make with the relatively taste-free Bacardi 151. However, the Lemon Hart brand has had sporadic availability, so alternatives like the Hamilton Guyana Overproof have stepped into the breach. In Tiki’s early days, recipes were a closely guarded secret, and top Tiki-knowledgeable bartenders were a hot commodity. Rival bars did their best to lure them away from the competition. Naturally, many of the original Tiki recipes evolved as they moved from bar to bar alongside their bartenders. 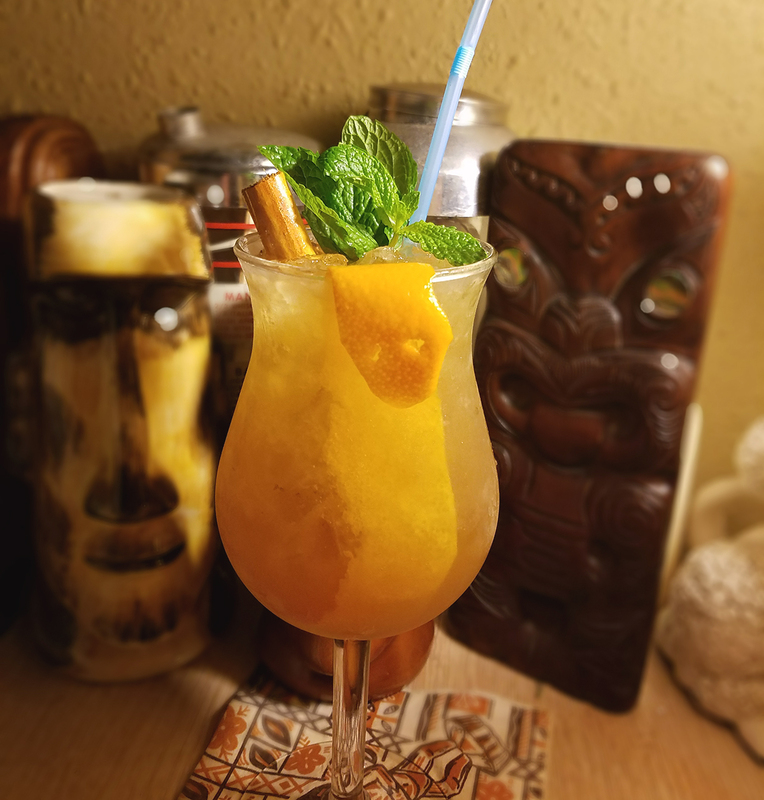 Given its particularly ingenious name, a number of Cobra’s Fang variations– The Cobra, the Cobra’s Kiss, and the Sidewinder’s Fang–spring up during Tiki’s golden era from the 1940s to the 1960s, but all retain the key quartet of lime, orange juice, passion fruit syrup, and Demerara rum. But the original 1937 Cobra’s Fang, with its six drops of absinthe, a Don the Beachcomber signature, remains the benchmark. Flash blend with a cup of crushed ice. Pour into tall Collins glass. Use a single pineapple leaf fang for garnish. During my last visit to Tacoma Cabana, Lynsey Daigneault crafted a fantastic version of Jason’s Cobra’s Fang, going over the top with a clever garnish. However, even without her orange peel and hibiscus trickery, the Cobra’s Fang is sure to leave its mark on you. Want to make your own Cobra’s Fang?